Tactical Thunder Sound Grenades Refill Pack - 12 Cylinder B Replacement Shells | BUDK.com - Knives & Swords At The Lowest Prices! 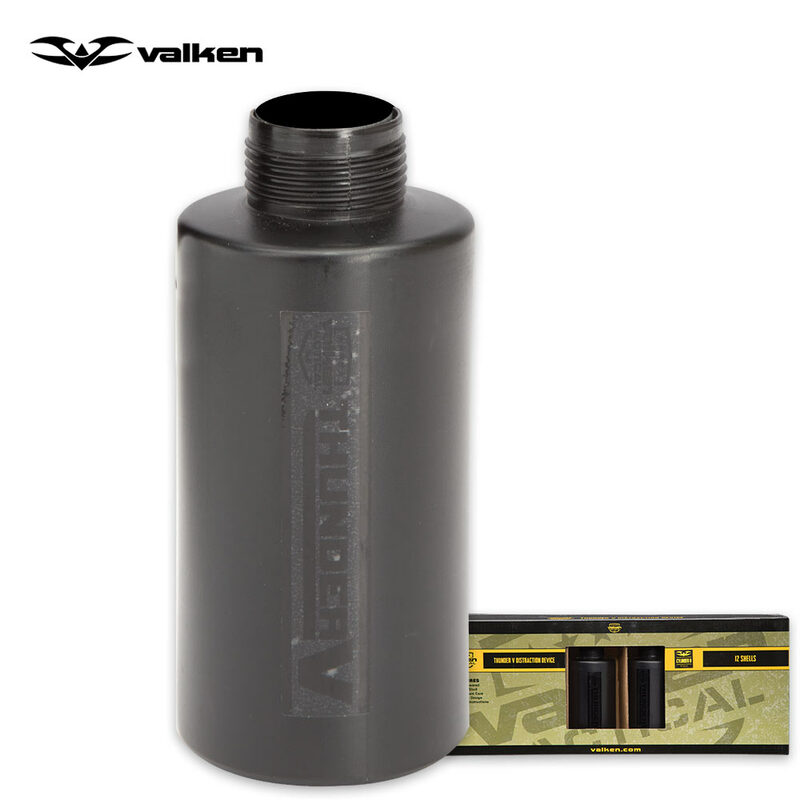 Nothing distracts your enemies like an ear-piercing 130-dB sonic blast, and delivering them has never been easier and more affordable, thanks to Valken Tactical Thunder Sound Grenades. 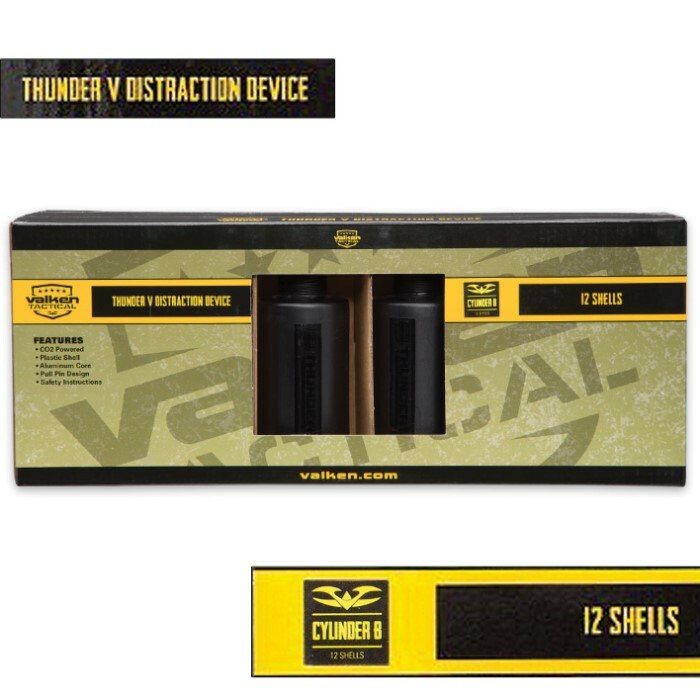 This convenient 12-shell refill pack works with any Tactical Thunder core (sold separately - if you’re buying Tactical Thunder sound grenades for the first time, be sure to get one of our packs that includes a core). Designed to mimic “flash bangs” used by military and law enforcement, these reusable sound grenades confuse and temporarily incapacitate trespassers, looters, burglars, thieves and all manner of foe, allowing you to get the drop on them before they can complete their dastardly plans. Single-use burst shells and 12g CO2 cartridges (sold separately) drive the paralyzing booms. Simply insert a cartridge, pull the pin and lift the spoon, and the shell floods with compressed CO2. Upon reaching maximum capacity, the shell ruptures with an incredible 130 dB of skull-rattling sonic fury - well beyond the pain threshold and just a few decibels shy of a jet engine flying 100’ overhead. 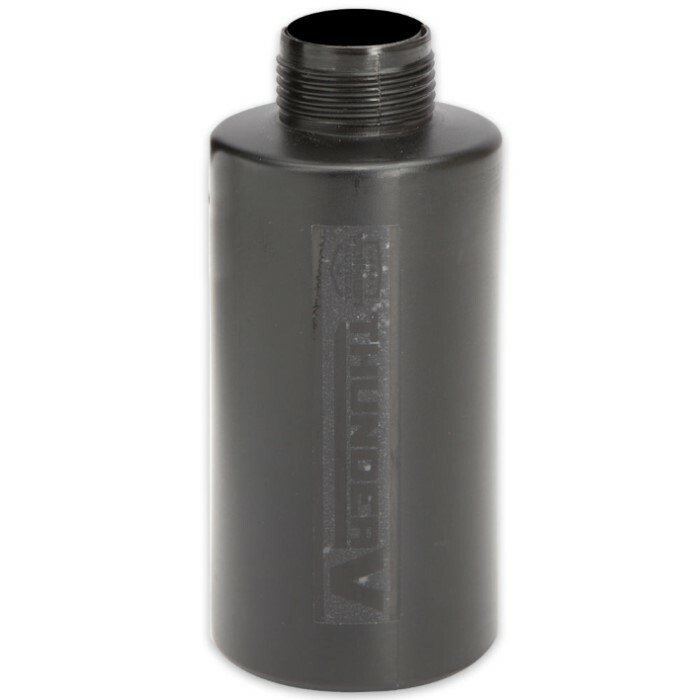 Compact Tactical Thunder Sound Grenades fit easily in bug-out bags, backpacks or tactical clothing and are great for subduing criminals when physical or lethal force is unwarranted or undesired. Don’t try to fend off desperate foes by yourself - let the “Tactical Thunder” roll, and gain the upper hand on any adversary, no matter how frantically or violently they come at you. Our handy 12-shell refill pack makes it easy to continuously stock your home, emergency shelter, supply cache, protective perimeter, go-bag and all other vulnerable positions, and with our unbeatable prices, there’s no reason to wait. After all, neglecting essential defensive tools like Tactical Thunder Sound Grenades could prove far costlier.